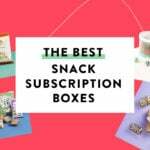 Snack Crate is a monthly subscription service that sends you a box of global goodies from all around the world! 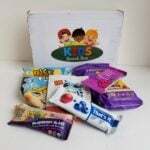 Snack Crate offers three sizes: the Mini box with 5 snacks for $14 a month, the Original box with 10-12 snacks for $26 a month, and the Premium box with 18-20 snacks for $49 a month. This box always greets you with a colorful booklet and talks you through every snack to be found in the subscription (at all levels)! This month’s box theme is Hawaii, which, okay, isn’t a country, but it’s certainly far enough away from me to seem like another world! I went to college in the snow belt, and I’m still haunted by winter sometimes, so let’s see if these goodies warm me up. There’s also an awesome bonus in each box: stickers! The stickers are always a hoot, and I fell a li’l bit in love with the hula dancer this month. How completely cute are these? I think lemon might be one of my very favorite dessert and sweets flavors, and these crispy cookies were a perfect combo of flavor and crunch! The little sprinkles add a bit of cheer to the appearance, but like most nonpareils, had no flavor; just a little added sweetness. They tasted nice and fresh, and I thought the portion in the bag was extremely generous. When the description for this candy said there was a plum pit in the center, I thought, “Surely that can’t be right!” But yes, in fact, this clear, fruity candy has a salty, tangy plum pit with a little bit of real fruit still attached in its center. Is it weird? Yes. Is it strangely addictive? Also yes! I think plums are totally underrated, and the flavor of this candy was true-to-the-fruit without being fake or sweet. That pit is a little strange, and they’re a little hard to eat (their size is about double that of a normal sucking candy), but I found myself perching it on the wrapper, then reaching for it again and again throughout the day. These gorgeous sweets just scream, “Sleepover!” to me; their bright color speaks to staying up late, watching movies, and giggling until you can’t breathe. There weren’t a lot of distinct flavors here, mostly just fruity-sweet with just a hint of sour. The colors are beautiful but still natural, and there was something so fun about eating these like I was eleven again. Dear readers, I was hoping I would receive a macadamia nut treat in this box, and I was not disappointed! This duo of truffle-sized drops was full of exceptionally crispy rice and two huge macadamia nuts each, enrobed in high-quality dark chocolate. These were really delicious and made the perfect 3pm pick-me-up with a cup of black coffee. Someone help me – there is nothing I love more in the snack food world than Maui onion chips! These kettle-cooked beauties were absolutely delicious. Kettles are my favorite, and the nice thing about a Maui onion, as opposed to other onion varieties, is the sweetness that balances out the savory flavor. They’re flavorful, but mild and super-satisfying. I made the mistake of offering a chip to my husband, and he loved them so much he begged me for the rest of the bag! Verdict: I have a confession to make: as a serious pineapple-hater, I was REALLY worried about this crate! It looks like pineapples reigned rampant in the bigger-sized crates, but at the mini level, I was spared – and I’m thrilled. This was a perfect fit for me; the macadamia candy made me incredibly happy, I loved the little plum drops, and I am not proud of how fast my husband and I ate those chips. I felt like I got a good feel for the snacks of the region, and, as always, I really liked trying things I’ve never seen before. 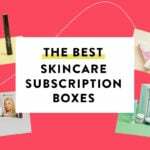 Value Breakdown: This box costs $14 + free shipping, which means that each of the 5 items in the box (not including the bonus stickers) has an average cost of $2.80. Having this box curated and the products sent directly from the country of origin really adds to the value! Check out all of our Snack Crate reviews and the best snack subscription boxes of 2019! I’m signed up for the original crate with drink add-on and was so bummed when I realized I forgot to “upgrade” for a month to the premium crate for this month. I’m from Ohio, went to college in Indiana so I’m also a snow-bound hopeless but was lucky enough to take a vacation to Hawaii a few years ago and, of course, fell in love. As soon as I opened my box I devoured those chips (I really did have them there so it was a nice memory). I was saving those macadamia treats and just “found” them last night and was in heaven all over again. Taaaaake meeee baaaaack!!! !